Due to devastating flooding from Hurricane Harvey and other events in the recent past, Brazoria Drainage District No. 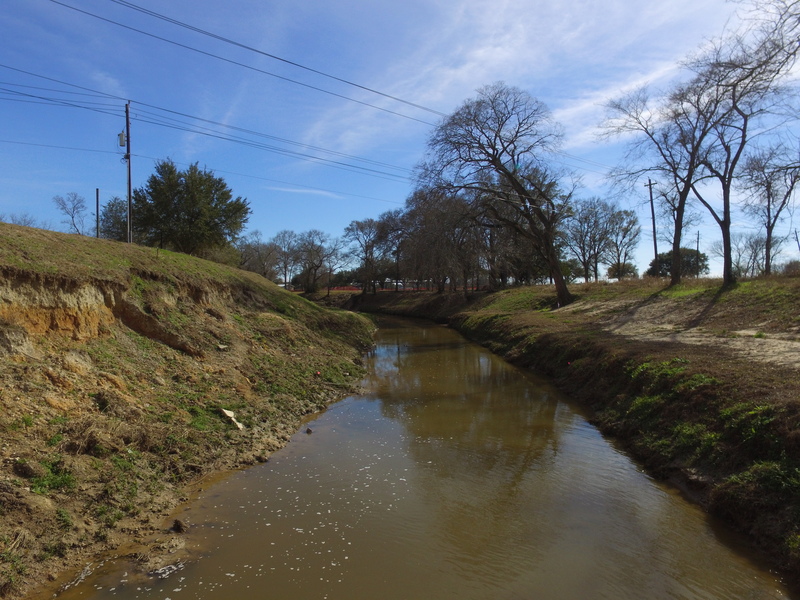 4 in coordination with United States Army Corps of Engineers (USACE) will begin planning for channel improvements along Mary’s Creek from Harkey Road to SH 35. The first phase of the process will include Topographic Survey in the field. Once this phase is complete, the plans will be designed and constructed. This project is necessary to improve the drainage in the channel and improve the conveyance of storm water during future flood events. In cooperation with the USACE, this phase will begin Tuesday, November 6th until all work has been completed. Please contact Brazoria Drainage District No. 4 with any questions. The Brazoria County Stormwater Quality Coalition consists of the City of Lake Jackson, City of Freeport, City of Clute, City of Alvin, City of Richwood, City of Angleton, Brazoria County C & R District No. 3, Brazoria Drainage District No. 4, Angleton Drainage District, Velasco Drainage District, and Brazoria County. The coalition was formed in August 2007 as an effort by the members to assist one another in complying with stormwater quality regulations established by the Texas Commission on Environmental Quality. In 2018 Brazoria Drainage District No. 4, through the use of a Memorandum of Understanding (MOU) with the City of Pearland and an Inter-local agreement with the Harris County Flood Control District, installed 8 new rain/storm gauges throughout the district (map of gauge locations). The purpose of this project was to remove the old gauges that the City of Pearland owned and replace them with the newest technology in order to give residents within our jurisdiction real-time monitoring of our local streams and bayous. The data includes water levels, rainfall amount, historical flooding data, a visual cross-section of the associated drainage channel, and our benchmark information at each gauge station. When it begins to rain, data-collecting sensors at each gauge station transmit rainfall amounts via radio frequency every time 0.04 inches of rain is measured by the sensor. Sensors that transmit bayou/stream levels report every 0.10 foot rise in water levels. The sensors transmit information to four primary repeaters located in the Huffman, Clodine, League City, and Tomball areas.The repeaters then relay the data to primary and back-up base stations located at Houston Transtar and at the Harris County Appraisal District. The information is monitored daily by software and by Flood Control District staff to ensure the gauges are properly functioning and transmitting accurate data. Welcome to the NEW Brazoria Drainage District No. 4 website! Our mission continues to be to detain, control, preserve, and distribute the storm and flood waters within our jurisdiction. The goal of this new site is to make information more accessible and easier to acquire for the public. Updates will continue with more features and easier accessibility. Please contact Adrian Gengo with any questions, concerns, or suggestions. Due to devastating damage from Hurricane Harvey the Brazoria Drainage District No. 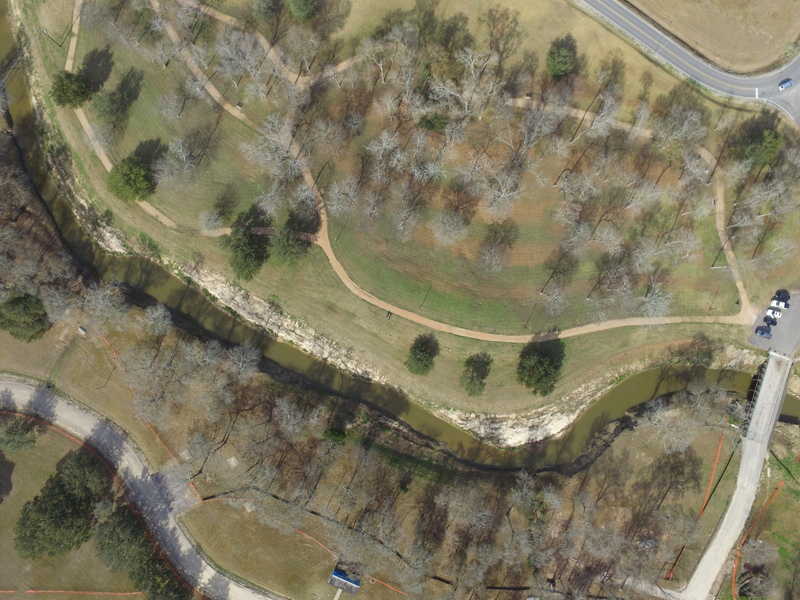 4 began channel improvements on Mary’s Creek in the Independence Park area. The first phase of improvements were from John Lizer Road to Liberty Drive near the old park entrance. Once this section is complete work will continue on to other sections of the Creek. This project is necessary to stabilize the severely eroded banks of the channel and improve the conveyance of storm water during future flood events. In cooperation with the City of Pearland the parking area and walk trail North of the park entrance will be temporarily closed starting Monday, February 12th 2018 until all improvements have been completed.